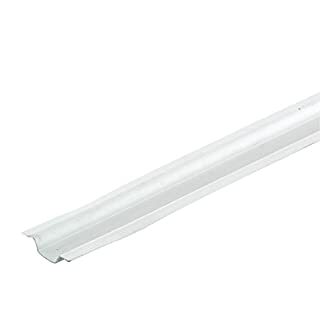 Quarter round trunking profile (22 x 22mm) covers gaps between floors and skirting, while providing an easy-to-use cable tidy solution around floor perimeters. The 22 x 22mm (W x H) dimensions of D-Line quadrant cable hider scales well to blend with popular skirting boards, while providing capacity for cable bending radii around corners. 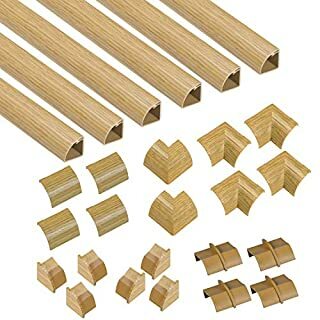 Traditional floor edging is usually nailed, requiring perfect measuring of lengths before corners can be mitre-cut at 45º angles. 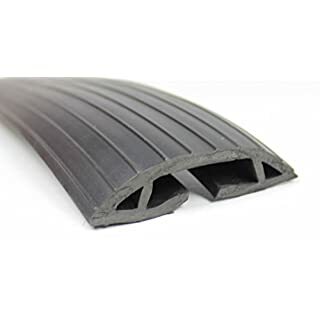 By contrast D-Line quarter-round cable cover can simply peel-and-stick to skirting, while the Clip-Over corner-bends save any need for precise measuring and can cover oblique cuts. Compared to regular floor trim, D-Line floor cable trunking features combine to enable approximately 50% quicker installations - and then it's easy to add or remove cables! 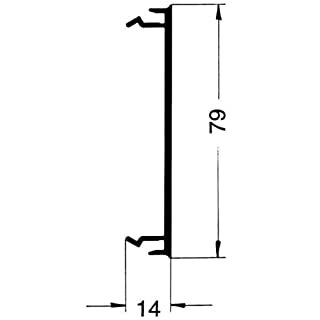 This listing is for a 100 cm (1m) length of mini trunking. If you require a longer length please increase quantity. For example if you want 2m then increase quantity to 2 (2 x 1m = 2m)Maximum length of single piece is 1m. 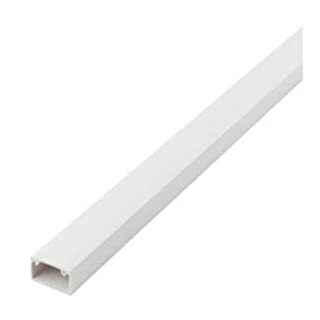 If you order more than 1 meter the order will be cut into 1m lengthsFor example if you order 3m of trunking this will be sent in 3 pieces, 3 x 1m Mini trunking manufactured from high impact, white PVC that will withstand the most rigorous demands of home and office use.It is ideal for use with security, lighting and power and is manufactured in accordance with BS4678 part 4.The trunking has a self adhesive backing, which saves both time and cost.The lid snaps in place over enclosed cables. 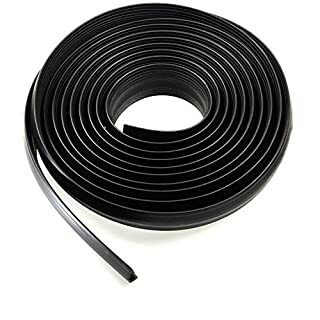 Manufactured from durable rubber to ensure long-lasting defence against harm, this high-quality cable protector is the most practical and useful way of both hiding cables from view and ensuring they are protected! Easy to use, feeding cables through the length of the cable cover couldn't be simpler. And once they're in, they are protected from the type of damage that could result from tripping. Designed with a grip-textured base, the non-slip underside of the cable protector ensures that it will remain firmly in place. 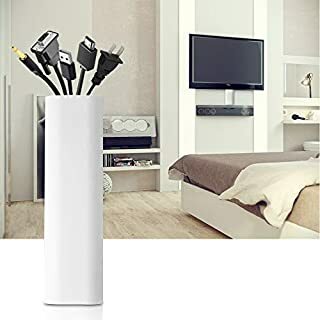 Best of all, with its ultra-thin but ultra-strong surface, it is designed to be as unobtrusive and as long-lasting as possible - hide as many cables as you like with this rugged and useful black cable protector! 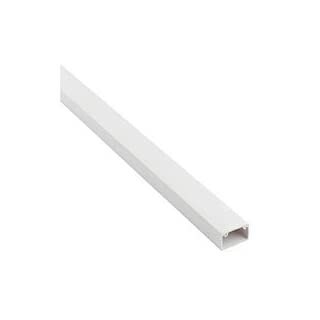 This listing is for a 100 cm (1m) length of mini trunking. If you require a longer length please increase quantity. For example if you want 2m then increase quantity to 2 (2 x 1m = 2m)Maximum length of single piece is 1m. 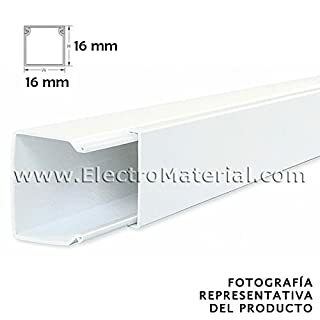 If you order more than 1 meter the order will be cut into 1m lengthsFor example if you order 3m of trunking this will be sent in 3 pieces, 3 x 1m Mini trunking manufactured from high impact, white PVC that will withstand the most rigorous demands of home and office use.It is ideal for use with security, lighting and power and is manufactured in accordance with BS4678 part 4.The lid snaps in place over enclosed cables. 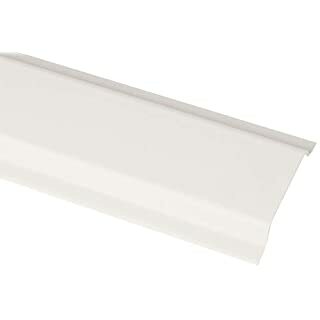 minicanal in bar of 2 meters long and white Measures 16 x 16 mm. 40m (20 x 2m). 13mm, for protecting electrical wiring routes. Constructed from robust, heavy gauge material. Can be cut to size. Item number: 145202Delivery quantity: 1 pcsOperating voltage: 230 V~Material: Aluminum/PlasticSize: Product-L/Product-B/Product-H: 200.00/3.60/3.20 cmWeight: 1.95 kgMax. 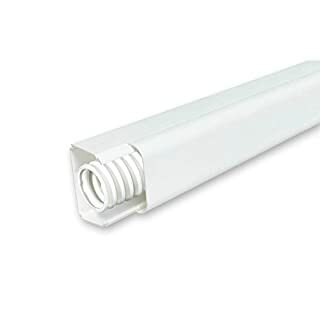 current: 16 AArea of use: ceiling/wallProduct is in the catalog on page KS Lamps "big white 2015": 308Protection class: 1Use scope: product is exclusively for use in indoor areasThe product is ENEC and VDE tested.Eutrac-System - The 5-ladder rail with three separate switchable Eutrac construction extruded aluminium sections consisting of a circuit, it also can be used as a protective conductor. It also contains two passes with four slotted power embedded copper conductors of 2.5 mm2 cross-sectional area than ever. A customer Length adjustment can be made easily by simple cut. A Return to cutting or bending of copper conductors is not necessary. 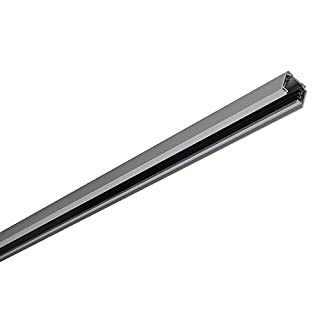 The rail has Mounting-Langlöcher OT and are approved for use in the field.Upon request we can offer you the patented construction EUTRAC rail with bushing and related components. The rail has opened up the possibility of Bushing EUTRAC construction with the triggering of lamps with dimmer - or Electronic Switchable Dali-Betriebsgeräten. Please contact our design department.